The Toronto Zoo’s baby pandas, born just eight weeks ago, have opened their eyes. The zoo released a video of the cubs, which shows them stretching and making adorable panda-noises. 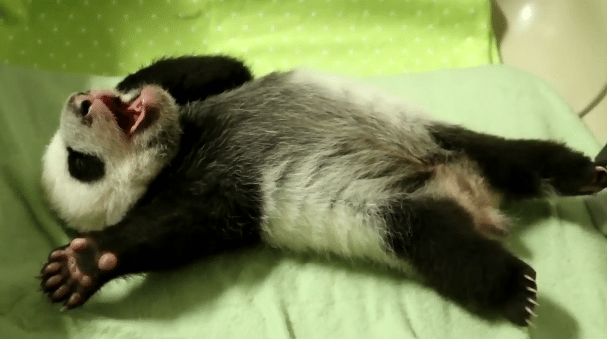 The footage is NSFW if you’re the sort of person who is unable to contain their joy at the sight of cuddly baby animals. Pearson International Airport has revealed its Infield terminal, which has been specially redesigned for the arrival of thousands of government-sponsored Syrian refugees. The twin to a similar terminal set up at Montreal’s Pierre Elliott Trudeau International Airport, the separate terminal aims to move refugees through the airport in three to four hours. It contains a processing area, children’s play area, and signs in English, French, and Arabic. Ten thousand refugees are expected to pass through its doors by the end of the month.